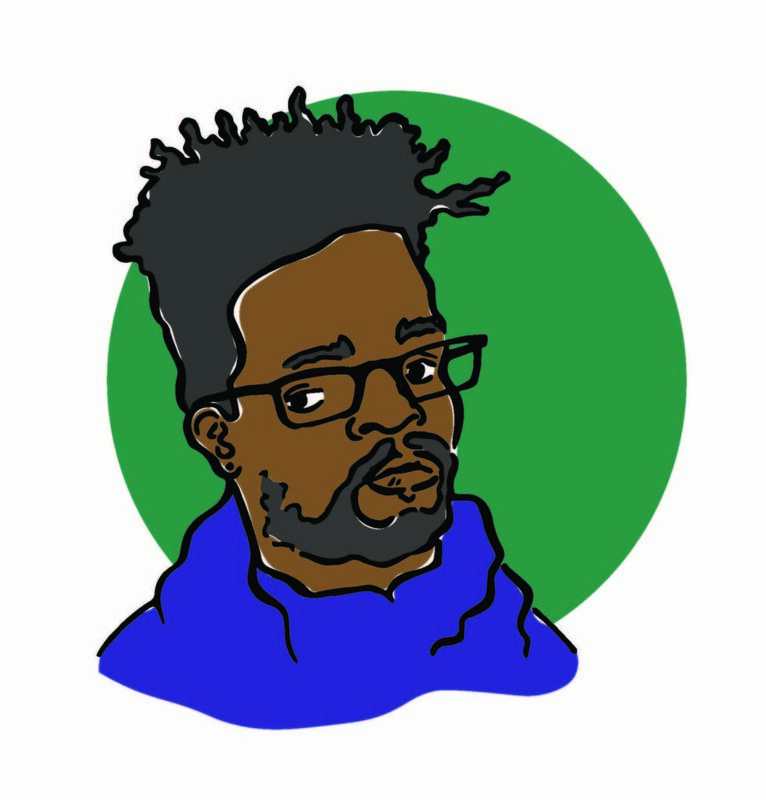 Open Mike Eagle, born and raised in Chicago, moved to Los Angeles after college, and for the most part, he didn’t look back. He joined the hip hop collective Project Blowed, formed the trio Thirsty Fish with Dumbfoundead and Psychosiz, released his first solo album Unapologetic Art Rap in 2010, and has a forthcoming stand-up and music show, The New Negroes, on Comedy Central that he will co-host with comedian Baron Vaughn. But on his most recent album, Brick Body Kids Still Daydream—a hazy, dark, powerful, and sometimes sweet recollection of the Robert Taylor Homes and their demolition, he comes home. The album reimagines the story of the Robert Taylor Homes, imbuing it with equal parts childhood fantasies, fuzzy memories, and the real-world darkness of a city that isolated, ignored, and then forcibly displaced thousands of its most vulnerable residents. This mix is perfectly encapsulated by the video for “Brick Body Complex”: Eagle plays Iron Hood, a superhero trying to warn residents that their building is coming down, fight back against gentrification, and stop the city’s demolition; in the end, at the moment when it seems Iron Hood has stopped the demolition, the cops show up to haul him off to jail. Eagle spoke with the hosts of the South Side Weekly Radio Hour to talk about his process, his feelings behind the album, and why he came home. Catch the full-length interview on 88.5 WHPK next Tuesday, October 24 from 3pm–4pm and online. Andrew Koski: What inspired you to revisit Chicago as the subject matter for the album after being in L.A. for more than a decade? It was literally just having the train of thought of “What happened to the Robert Taylors?” and actually looking into it and being kind of horrified and in many ways disturbed by what I found. It just made me want to kind of connect to the mind state I was in when I was growing up…it made me want to look into my own past to try to find some material to write from. AK: So what was it like actually coming back then and seeing what’s become of the space and the lack of progress in replacing this housing? It was hard and weird. It was really weird seeing that—those big empty fields and trying to mentally put together how it was when all those buildings stood. So the first initial impression is just being in awe and intimidated by this big empty space. And then when I looked around there this first time when I went back, somebody had painted on a wall, under maybe a viaduct or train tracks—they had painted 3919 on the wall. And that was where that building stood. And that was a bittersweet feeling too, because you know, one of the big, bad feelings of being there is experiencing that erasure if you did have some experience with those buildings. But then to see that somebody took the steps to commemorate it somehow made me feel a little better. I also found out last time I went that they do a reunion there every year, the people who lived there. I ended up talking to some people who were hanging out around the park there who used to live there, and apparently they do a reunion, and that was really nice to hear too. That the people there, you know, they’re doing their best to hold onto the community. Erisa Apantaku: Did you come back at all during the crafting of the album? What sorts of inspirations—both musically or visually or written—or memories did you incorporate into the album? I did come back once and took a bunch of photos and decided to take it all in. I just [went] by myself and tried to have a moment there on the land and understand what it all meant to me. Inspiration-wise, actually, one of the bigger inspirations was this videogame series called Dark Souls that I’ve also been playing a lot of. And its means of storytelling is very indirect—a lot of it is based on clues and a lot of it is adventuring through ruins. And in that way I kind of wanted to mythologize the Robert Taylor Homes too. Like, to try to treat it like there’s some lore there, or there’s some stories that may have been like oral traditions or legacies or just local myths and try to play those up. EA: I was reading an interview you did with Chicago Magazine that you feel like there should be something commemorating the Robert Taylor Homes, like a plaque. In Brick Body Kids Still Daydream, were you trying to create a space for future generations to kind of understand the space? Maybe not intentionally. I think I was just mining feelings and then through my own lens of my experience of that place, I think that it ends up sounding like that. When I was going through this last time it occurred to me that what I did, maybe not what I was intending to do, but what I did with the album was kind of create an audio version of a mural. And in that way it’s commemorating but it’s not a documentary. It’s more like an impressionistic kind of painting of these different scenes of things that may or may not have happened there. AK: Do you think this is more of a public album, compared to some of your more introspective feelings on past albums? That’s possible, but from my position inside the work, it’s hard for me to think of it that way. I set intentions to just make whatever kind of song should be made, based on where my mind is headed at the moment. There’s definitely songs on this album that are bigger—more expressive, outwardly, than some of my older stuff, but I also don’t know if that could just be a function of where I am in songwriting. EA: Which tracks do you think are more expressive? “Brick Body Complex” is a big outward-based song. “No Selling” is a big song, even a song like “Daydreaming In The Projects,” where my delivery is more melodic, I still think there’s an expressive quality to the emotions of the song…I think maybe this album is just a little bit more emotional, outwardly emotional, than my past work, because I tend to shy away from even consuming entertainment that’s too emotionally available for some reason, and this effort is probably like the most overtly emotional I’ve been. EA: Do you wish you could have played at a South Side venue when you came through? I mean, my ultimate fantasy is to set up a stage, like right there on the space where the buildings were, and just do a show there. That’s the dream scenario. But the reality of it is that I’m also pursuing a weird career, and I have to pay attention to what factors make the most business sense too, so I tend to want to be where people are used to going for live music, and people might not be used to going to an empty field to do that. There is a place that I played on the South Side once—the Shrine, I think? And look, that’s part of what I found out when I talked to the people who were around the park that day—they have music out there when they do the reunion. So there’s ways to fit that all together. That would be really amazing. EA: Do you plan to come back, for a reunion? I would love to. I absolutely would love to. I had just missed it apparently. They say it’s typically in early September. So if I were able to get that information in a timely manner, I would love to come. That would be…like, this one guy I talked to, he has an address sign and some bricks from his building. He said his family was the second family to move into his building, and he said he brings the sign and the bricks out during the reunion. That’s the kind of stuff that I want to see—I want to touch that stuff, you know? I want to talk to people about which building was there, so I don’t have to put that stuff together so much from my memory. AK: So it seems to me that this album took a step by having a more central focus and it felt more serious, because it’s a monument to these buildings. Is that something you want to continue doing, to get more specific or have a more serious focus like this album? I think I have to take it based on legitimately whatever I’m feeling, because there’s stress in this album that isn’t from the buildings. There’s stress in this album that is from the political situation, and I think that me being grounded in a sort of stressed-out emotional state right now is what led to that subject matter being the thing that I found most interesting to create from. It felt like I was processing kind of dark, heavy feelings, some of which didn’t have anything to do with the Robert Taylors, but I was able to use that as a vehicle to get some things out and figure out what to say about other stuff. EA: What do you do day to day to keep going? I know that’s a really bleak question, but I think a lot of people ask that question. I just try to find the words to process my feelings best I can. I won’t say substantial, but I have a social media platform presence; I have a music career that on paper doesn’t even make sense—that’s stuff to feel fortunate for. I say that I have tools, where if I feel like I have a good idea, I have a means of spreading it. And I use a lot of mental resources to try to figure out what to do and what to say—but also, I have to honor my emotions, too, and sometimes I do feel dark and I do feel bleak and I do say dark and bleak things, because I think even overall…one of my values is that it’s very important to me that people get to honor their real individual feelings. We live in a society that doesn’t always allow for that, especially in minority or oppressed groups, you don’t often feel license to feel certain ways or to express certain things, and so I’d always want to reinforce and be an example of a person who feels like he can say what he means to say. So it’s tough right now, it’s tough, and I’m trying to figure out a way through it, but I think a lot of it is try to figure out the things to say to people. And when I correctly say those things, and watch that affect people on social media or here, or a song or a line people relate to, then that helps me go forward. EA: The “95 Radios” video was gorgeous, just want to put that out there. You know, for these videos, I had this dark comic television concept, and I connected with these really talented directors and they all had the license to take each concept and put their own spin on it, and I think, man, they all did a really good job. We have more videos coming. AK: That one especially, it comes across that you’re trying to give a voice or a platform to these kids growing up in the projects—that’s also in the lyrics on “Daydreaming In The Projects”—so what would you say to a kid who’s now growing up in that situation, not in the Robert Taylor Homes, but somewhere in Chicago, where they’re dealing with the aftermath of the demolition of these buildings? It’s hard to know one thing to say, because there’re so many situations that a kid could find himself in…If the kid was like me, I would say, “Keep looking for alternatives, and embrace those and don’t be afraid of them.” I often didn’t feel comfortable being able to express liking the types of music or television that I liked because of social pressure that wasn’t really real—and ultimately connecting to those things really kind of saved my life. There’s a lot of lives that can be lived in that kind of situation, and there’s a lot of danger, and a lot of pain and loss. And a lot of it can be transformative, and maybe a general thing to say is…don’t be afraid to try to process your scars and your negative experiences. Have a person to talk to. AK: What is the process like to make an album that’s so specifically about one place when you’re in a totally different place? You’re in LA, but you’re making this album, pulling from memories, but also trying to imagine this space that couldn’t be more different geographically. You know, there has been some force, some thrust in my work as long as I can remember, where I’ve had this question in my head creatively on what the value of memory is, because I remember a lot of really weird stuff, even pop culture-wise, the things that have impressed themselves upon my memory indelibly are sometimes really silly, or a commercial jingle, or the opening to certain television shows. When you’re a kid…especially in terms of marketing, things present themselves like they’re the most important thing ever and that they’re always going to be that way all through time. I remember hearing songs on the radio, or videos being played over and over again, where if you were eleven or twelve, you were gonna go, “This song is going to be a part of pop culture canon forever,” but now it’s just something that you don’t remember at all! There’s always been this question in my head, of what is that worth, what is the function of a memory like that, and I found in this project this complete license to mine and use every memory I could come up with. And since it was a mural it didn’t have to be factual, it could just be me painting pictures of things that I remember. That was just incredibly gratifying for me because I have this existential question about what memories are worth. So to be able to use them in a way that seemed more important than just me doing that felt really good.